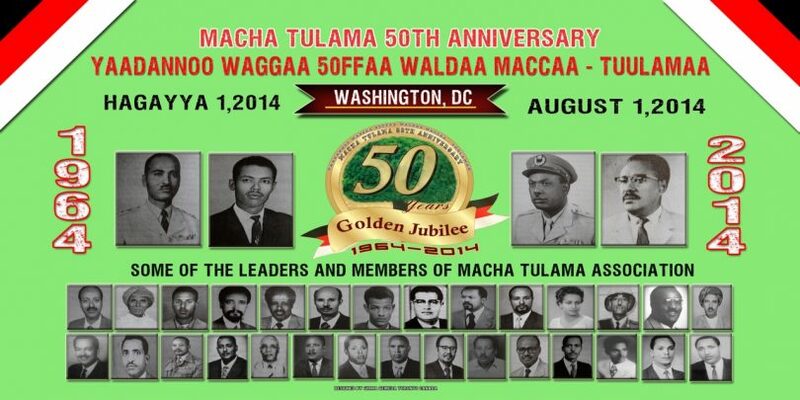 (OPride) – The 2014 Oromo Week kicked-off on August 1 with a colorful commemoration of the Macha Tulama Association’s 50th anniversary in Washington, D.C. The all-day event consisted of a rally at the White House and an afternoon gathering to reflect on the organization’s journey and to honor those who sacrificed so much to nurture the organization throughout the years. 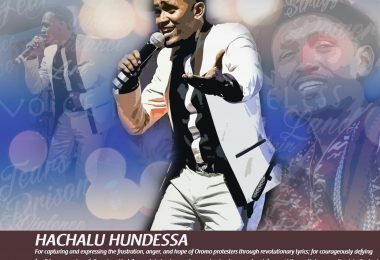 Representatives of the youth, elders and the organization’s founding members and leaders spoke about its profound impact on Oromo national consciousness. On August 2, the 28th Annual Oromo Studies Association (OSA) Conference commenced at Howard University adding more color and conversations to the week’s festivities. This year’s conference, organized under the theme of Gadaa and Oromo Democracy: Celebrating 40 Years of Research and Oromo Renaissance, boasted a large turnout with a lot of young and new faces. The two day conference opened with elders blessings as per Oromo custom early Saturday morning. In his opening remarks, the outgoing president Dr. Ibrahim Amae Elemo reflected on the OSA’s 28 years of pursuing Oromo scholarship and nearly 40 years of research on the Oromo Gadaa system. He praised pioneers who created and nurtured OSA over the years. He also underscored OSA’s commitment to continuing further research on Oromo Gadaa system and cultural heritage. The retired Abbaa Gadaa of the Guji Oromo and OSA’s guest of honor, Aaga Xanxano, gave a moving presentation on the role of Gadaa in organizing the Oromo society and called on the diaspora to return home and help develop the country. He also proposed electing a diaspora-based Abba Gadaa leader both as a way to carry on the legacy and as a way of organizing the diaspora as well as improving relations between those at home and abroad. The conference featured a wide-range of papers and various panels. The conference’s keynote speaker Dr. Gudata Sado Hinika, a successful philanthropist and trauma surgeon, gave a moving address emphasizing the need for members of the Oromo diaspora to shine their lights for others. Dr. Hinika began his address by citing two statistics about Ethiopia: one of rapid economic rise and the other about extreme poverty. He also noted that despite being Ethiopia’s agricultural hub, the state of Oromia, remains the second poorest in Ethiopia. 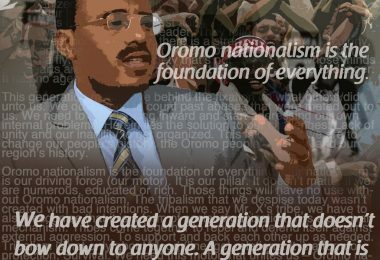 Given this reality, Dr. Hinika emphasized the need to shift away from preoccupation with politics and invest in educating the future leaders of Oromia. His well-received address marked the highlight of the conference for many in attendance. The last panel during the conference brought together four leaders of Oromo political organizations: Professor Mekuria Bulcha of OLF faction led by Dawud Ibsa, Dr. Nuro Dedefo representing the group led by Gen. Kamal Galchu, Professor Merera Gudina of Oromo Federalist Congress and Dr. Beyan Asoba from the Oromo Democratic Front. What is the biggest challenge facing the Oromo? In the Oromo struggle thus far, what did the Oromo achieve, lost and what do the Oromo people want? 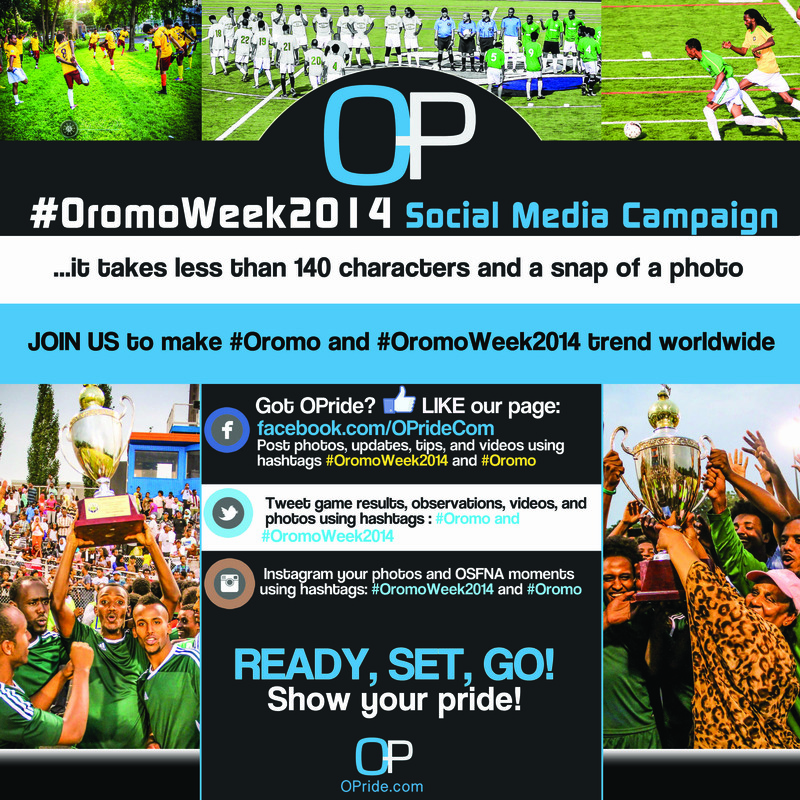 What are your short and long-term plans to empower and organize the Oromo? How can you minimize the differences among different Oromo political groups and hope to work together? do you have plans to do that? What is the plan to protect the rights of Oromos neighbors, especially those that share historical past? How do you plan to work with other nations and nationalities? In addition to these questions, the audience asked several questions, imploring the group to minimize their differences and find ways to work together for the advancement of Oromo rights. 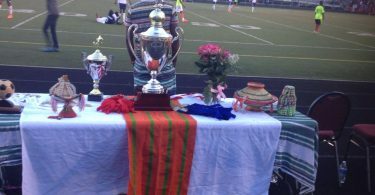 While Oromos in Washington were busy hosting the OSA conference, further West, the 19th annual Oromo Sports Federation in North America (OSFNA) kicked-off colorfully in Saint Paul, Minn, where the first week of August has officially been recognized as “Oromo Week” by mayors Chris Coleman of Saint Paul and Betsy Hodges of Minneapolis. 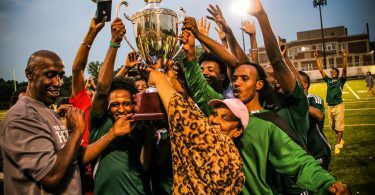 Unlike previous years, this year’s tourney began with a remarkable presentation of the Oromo national anthem, perhaps for the very first time, in front of large spectators at Central High School’s James Griffin Stadium. Council member Dai Thao, Ward 1, formally opened the event, calling on Oromo-Minnesotans to take part in the local political process here in order to advance their interests. The Oromia Youth Association’s cultural troupe delighted the spectators with breathtaking halftime performance. The opening clash took place between Oromia Australia, one of the newest additions to the federation, and the defending champs, Madda Walabu FC. It took both teams a while to score, but the game ended with Madda Walabu winning 3-1. Despite the loss, the audience and OSFNA leaders recognized Oromia Australia’s effort and dedication for traveling the longest distance to make OSFNA a truly international federation. The group stage saw many upsets and astonishing comebacks. For example, on August 3, Washington D.C.’s Leenca DC thrashed Minnesota’s Oromo United (OU) Gold 3-0. Similarly, Utta Waayyu beat Burqitu of Denver, the 2005 OSFNA champions, 4-0 after a bruising match. Moreover, Dire Dawa, the giants of the early beginnings of the OSFNA tournament, was routed by of Qeerransa of Portland. The games have already attracted a lot of interest even outside of the Oromo community itself. Governor of the state of Minnesota Mark Dayton and Al Franken, Senator from the great state of Minnesota, are both expected to attend the final, on Saturday, August 9, 2014.